​CLICK THE LINK BELOW TO SHOP ON ETSY! 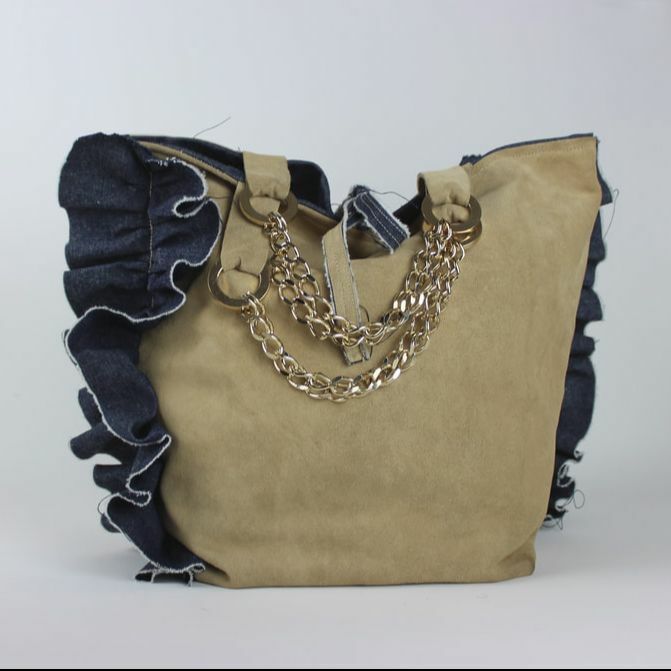 "KISS MY..." RUFFLE SHOPPER (SUPERMEGA) Tie top suede shoulder tote with lateral ruffle trim ; Suede tabs and slim curb chain and suede handles with 9" drop; Canvas lining and open pocket. 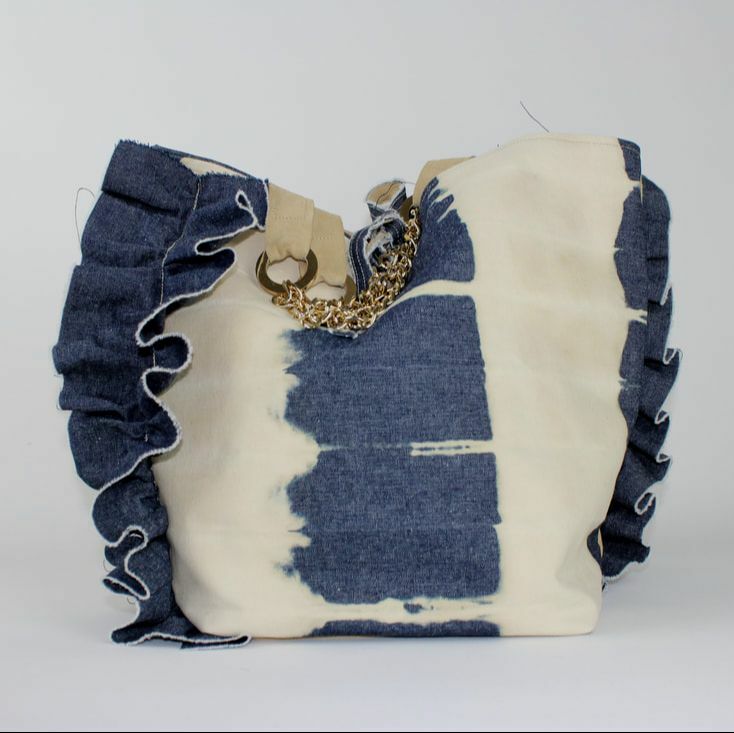 width 18" height 16" base 9" x 9"
GET IN TOUCH TO KNOW MORE ON HOW TO GET YOUR UNIQUE RUFFLED SHOPPER!